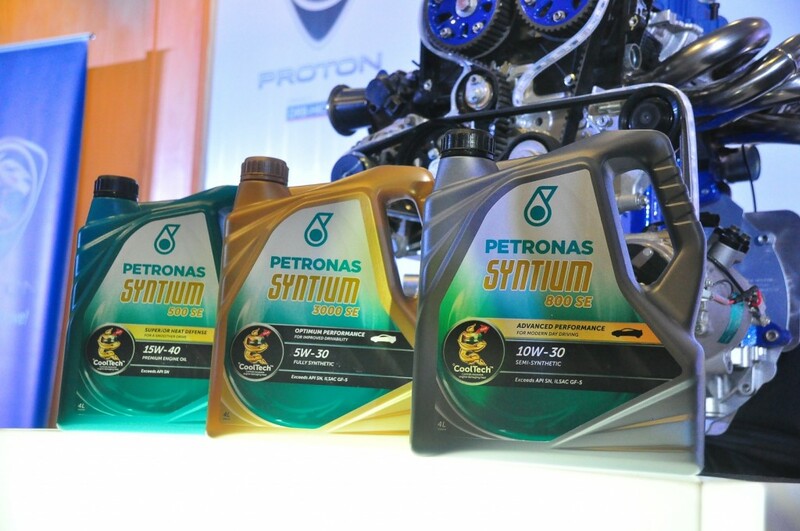 The deal includes the supply of a range of products for Proton’s factory fill and aftersales service, with a key product being the Petronas Syntium SE engine oil range. “Petronas has been the official fluid solution provider to Proton since 1989. We are delighted to take the partnership further as this is a clear testimony of Proton’s trust and confidence in our products and services,” said Datuk Seri Syed Zainal Abidin, who is managing director and CEO of Petronas Dagangan Bhd. "Proton and Petronas have a long history of working together so it was only natural for us to extend our partnership. Proton has a lot of exciting new models in the pipeline and we are eager to explore technical solutions developed together with Petronas that will benefit our customers,” said Dr Li Chunrong, who is CEO of Proton. Petronas’ lubricants and functional fluids are developed based on the Petronas Fluid Technology Solutions integrated approach, which is at the core of its engineering work. It leverages on the knowledge and insights gained through its extensive R&D facilities worldwide including the USD$60 million Global Research and Technology Center in Villastellone Turin, Italy and its USD$8 million Satellite Research and Technology Centre in Contagem, Minas Gerais, Brazil.